Located in Arkedelphia, Arkansas, some 60 miles southwest of Little Rock, Henderson State University is a public institution with a pre-professional curriculum strongly grounded in the liberal arts. Henderson State's idyllic location is a haven for fishermen and all manner of outdoor enthusiasts. Describe the type of student who should not attend Henderson State University and explain why. Describe the type of student who should attend Henderson State University. Why? What is a typical Henderson State University student like? Describe the type of person that should attend Henderson State University. What are the top 3 reasons someone should attend Henderson State University? What was a typical Henderson State University student like in high school? Describe the type of person that should attend Henderson State University. Founded in 1890 as Arkadelphia Methodist College, we are the only one of Arkansas's nine public universities that is now named for an individual--Charles Christopher Henderson, a Trustee and prominent Arkadelphia businessman. We are one of only two originally established as a four-year, degree-conferring institution; and we're the second oldest state university in Arkansas. Henderson's first class included 110 students, who were taught by 10 faculty members. From 1929 to 1967 the university was known as Henderson State Teachers College, which is one reason our education programs are among the most respected in the region to this day. Throughout our history, throughout the six different names under which we have operated, and throughout the tenures of the 15 presidents who have guided Henderson, our mission and goal has remained steadfast... to provide the best possible university education throughout Arkansas and beyond. To learn more about our history, visit the University Archives. What are the top 3 things that students do for fun at Henderson State University? 56% of students received Pell Grants, which are provided by the U.S. government to students from middle and lower income families. It gives you an idea of a school’s socio-economic diversity. Campus housing is available for undergraduates. Housing deposit : $50.00. Housing deposit is not refunded if student does not enroll.. Freshman allowed to have car. No pets. 41% of students live on-campus. 72% of freshman live on-campus. A program that focuses on the general study of aviation and the aviation industry, including in-flight and ground support operations. Includes instruction in the technical, business, and general aspects of air transportation systems. 72% of students graduated in the top half of their class. 39% of students graduated in the top quarter of their class. 14% of students graduated in the top tenth of their class. The average student pays $8,853 for tuition, fees, and other expenses, after grants and scholarships. Total stated tuition is $5,730, in-state and on-campus, before financial aid. Learn more about financial aid at http://www.hsu.edu/interior4.aspx?id=115. Estimate the net price for you at http://www.hsu.edu/financial-aid/npcalc.htm. The typical (median) early career salary of Henderson State University graduates is $35,400, according to Payscale. Henderson State University participates in the NCAA Division II for college athletics. 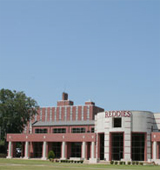 Want more info about Henderson State University? Get free advice from education experts and Noodle community members.